Unlike traditional home care and day care that caters for all types of physical health issues of the elderly, Caring With You was set up to fill a different need in our society. Our approach is based on our belief that by celebrating the “Me” in DeMentia, we see the person (the “me” or “I”) instead of the disease. The Caring With You approach incorporates providing an appropriate and conducive environment to offer Person-centred care within a holistic framework of cognitive, physical, social and sensory activities. With Our Centre set within a home-like, non-institutionalized environment with Dementia friendly features, your loved ones will feel safe and secure, with the freedom to move around. Here, they are encouraged to participate in Enrichment Program activities to experience uplifting moments, to reconnect with “Me” or “I”. Each session is 4 hours in length and coordinated with a small staff to client ratio for personalized care. Through a carefully planned and individualised program of activities that incorporates cognitive, physical, social and sensory stimulation, our aim is to help your loved ones improve the quality of their lives with social interaction, memory rumination and communication that help them feel happy and fulfilled, while distracting them from thoughts that trigger negative responses such as anxiety, insecurity and despair. We also recognise that families and friends play an important role in providing quality care. As such Caring With You offers family caregivers respite and support, education and training. 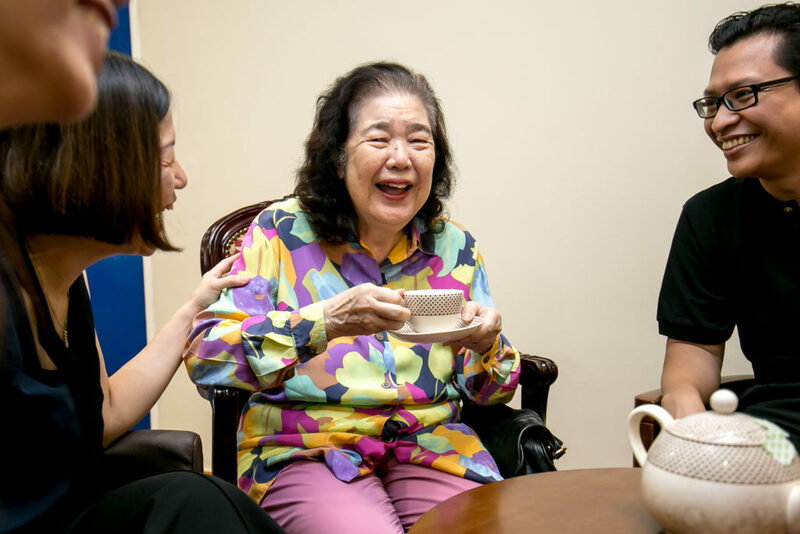 As a result of implementing our approach, Caring With You is able to improve moods, communication, social interactions and behaviour leading to a better quality of life for your loved ones and you the caregiver.